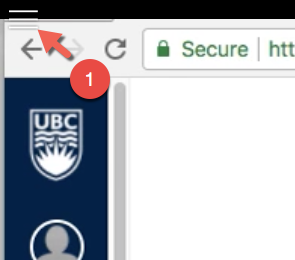 Kaltura is a video streaming platform hosted at UBC, which allows instructors and students to share videos within a course on Canvas. Kaltura offers a variety of features that will help you customize your videos. For example, you can add chapters (bookmarks) to your video timeline and keywords, which will help users navigate through the content. 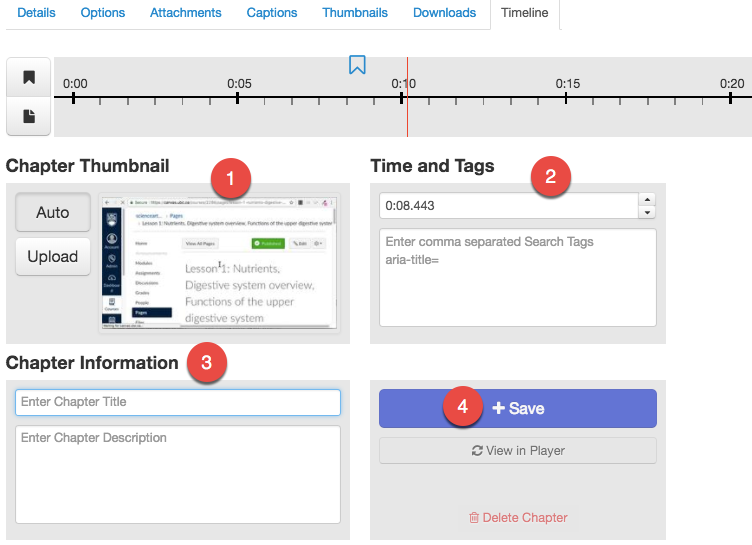 You can also add captions, a description and tags. You can complete the following steps from a course on Canvas. Log into Canvas and enter a course. 1. In the course menu on Canvas, click My Media and select "Add New / Media Upload" (attach an MP4 video file). Wait few seconds for your video to be processed. 6. When you save (number 4), play the video. A breadscrumb appears on the top left-hand corner of the video player. You can also add captions to your video (SRT file). Contact Kaltura Admin to request a transcription. This page was last edited on 5 March 2018, at 21:05.